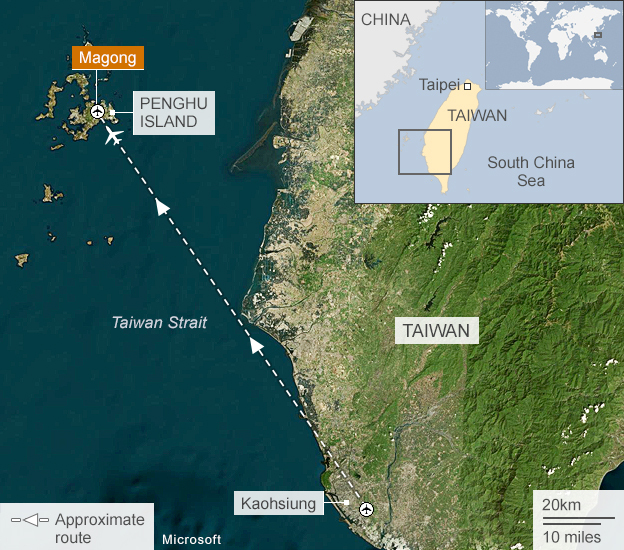 The domestic flight crashed near Magong airport on the outlying Penghu island, reports said. 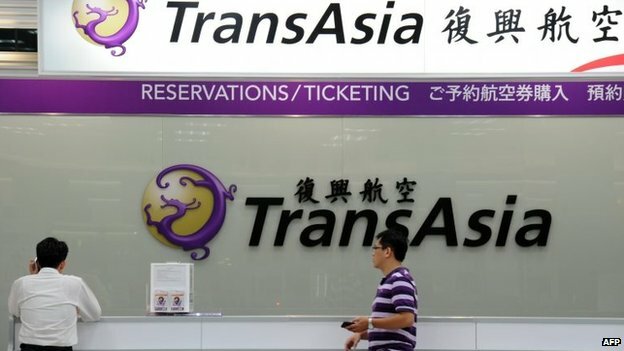 There were a total of 54 passengers and four crew on board, Taiwan's CNA news agency reported. Transport minister Yeh Kuang-Shih said that 47 people were killed and 11 were injured, CNA reported. The agency previously said that 51 were feared killed, citing fire department officials. 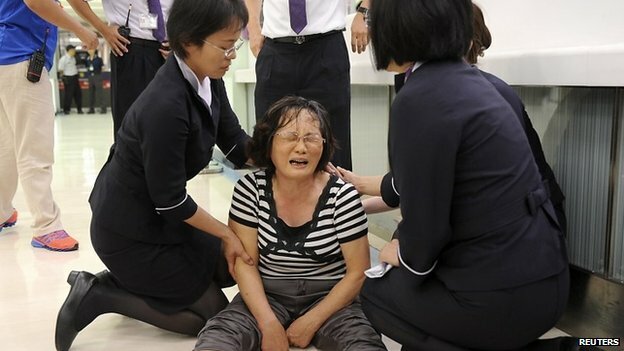 "It's chaotic [at] the scene," Jean Shen, director of the Civil Aeronautics Administration, told Reuters news agency. Firefighters and other emergency personnel are attempting to rescue those on board. 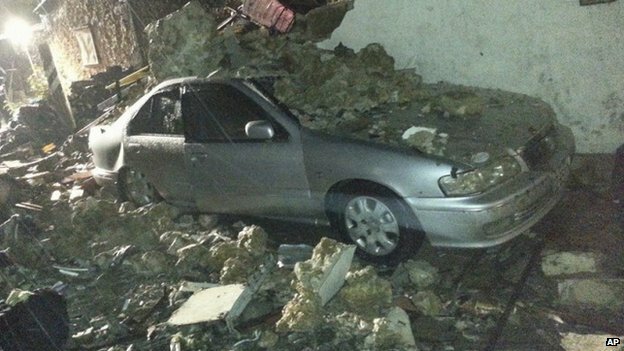 "It was thunderstorm conditions during the crash," said Hsi Wen-guang, Penghu County Government Fire Bureau spokesman. 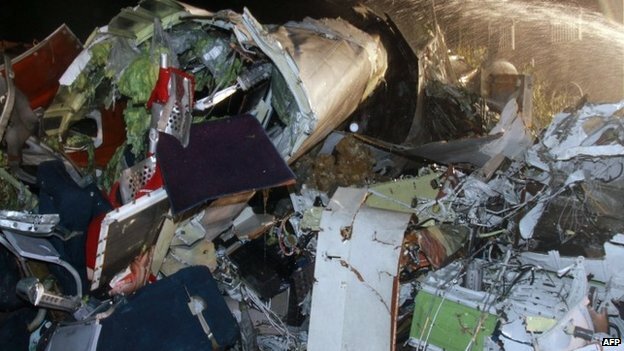 "From the crash site we sent 11 people to hospital with injuries. A few empty apartment buildings adjacent to the runway caught fire, but no-one was inside at the time and the fire was extinguished." 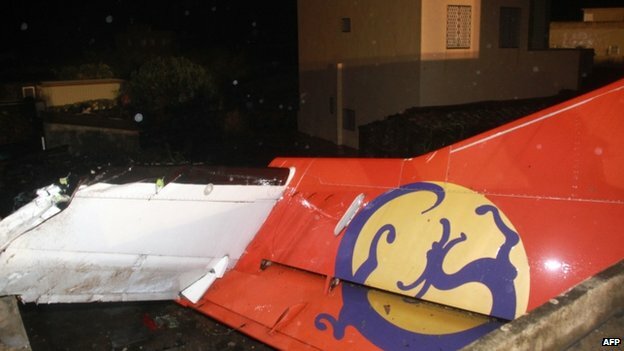 The plane was found at Penghu island's Xixi village in flames, local media reported. Typhoon Matmo had caused many flights to be cancelled but the land warning was lifted around 17:30 local time, around the time the plane took off, the BBC's Cindy Sui in Taipei reports.